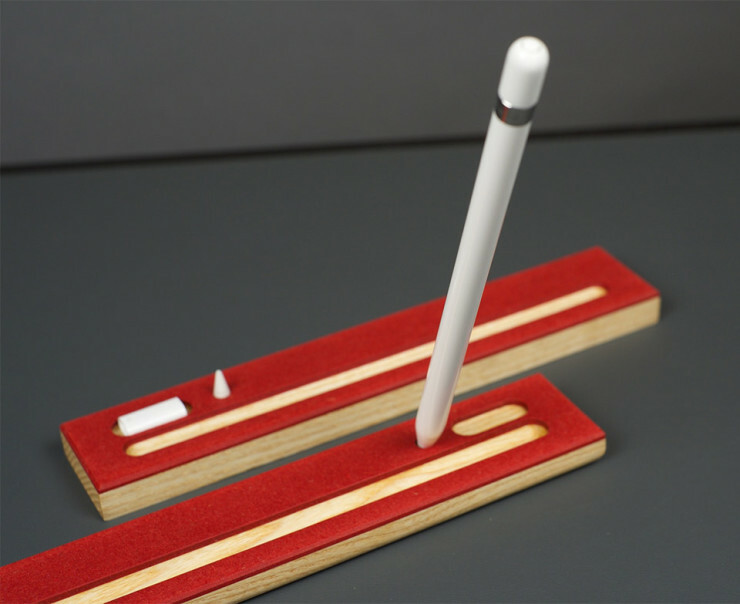 Apple Pencil Case by 68º | OhGizmo! So you bought yourself a fancy iPad Pro. 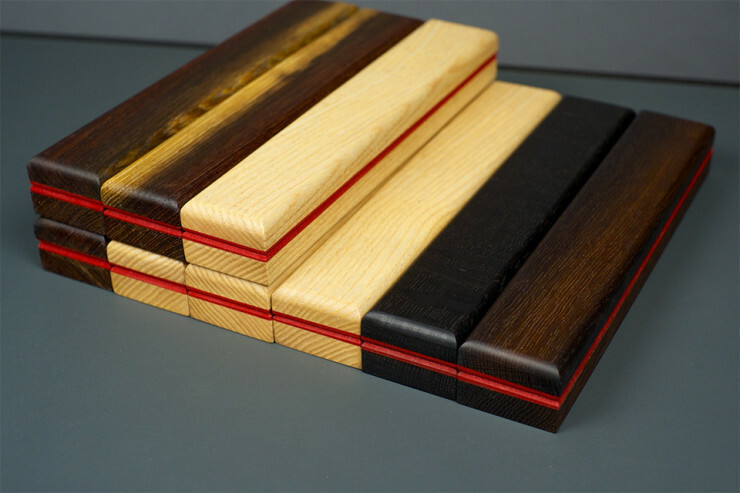 Good for you, we hope you like it. 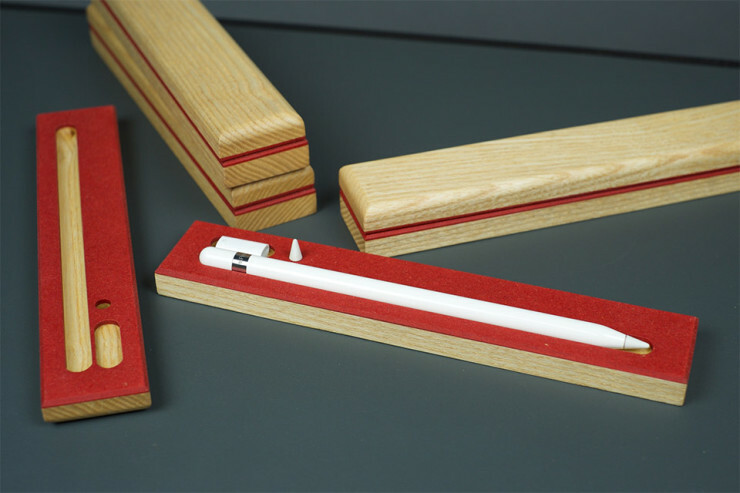 How about that Apple Pencil? Where do you put it when you’re not using it. Right, we thought you’d agree that might’ve been somewhat of an oversight on Apple’s part. Well, 68º has got you covered. 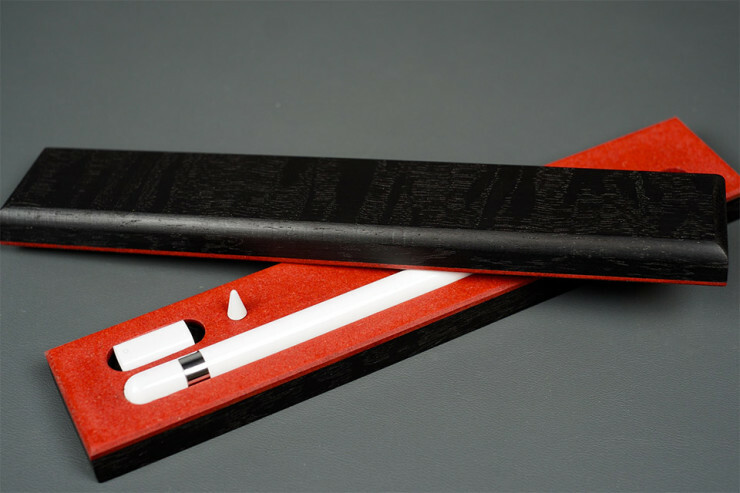 The Apple Pencil Case is a decent looking case, hand-made from either Ash, Wenge or Bog Oak and finished in a thin layer of red Valchromat, which is glued in place. You’ve spent a pretty penny on the iPad Pro, why not go the extra mile and spend another $79-$92 on a decent resting space for its main accessory? How are the two halves held together?